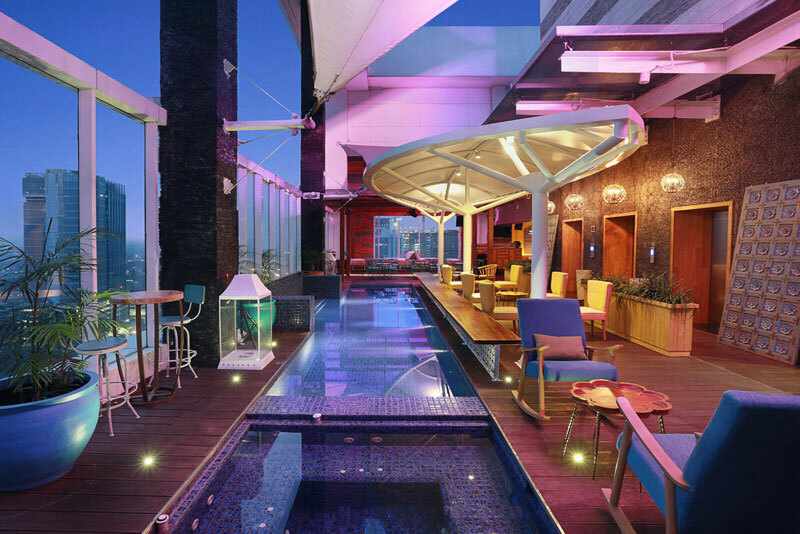 As the work day comes to an end, many of you may start to think about where to unwind and spend the night. 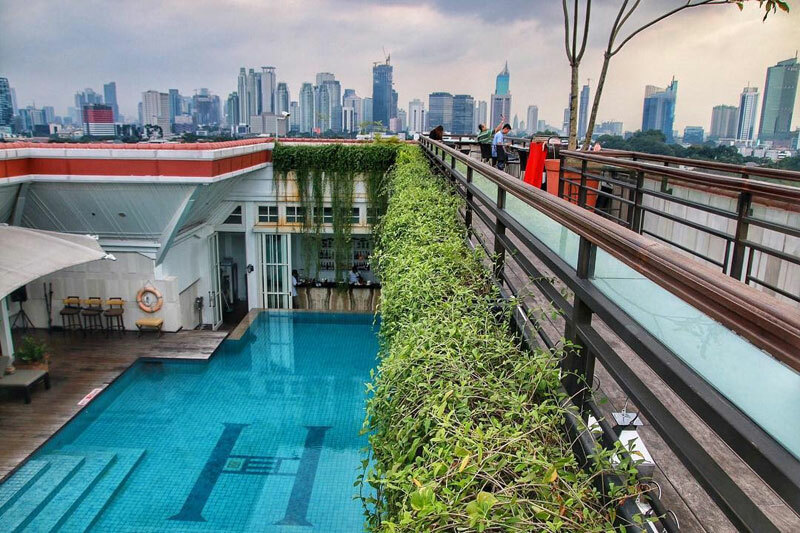 And here’s our suggestion – why not check out some of Jakarta’s famed rooftop bars? 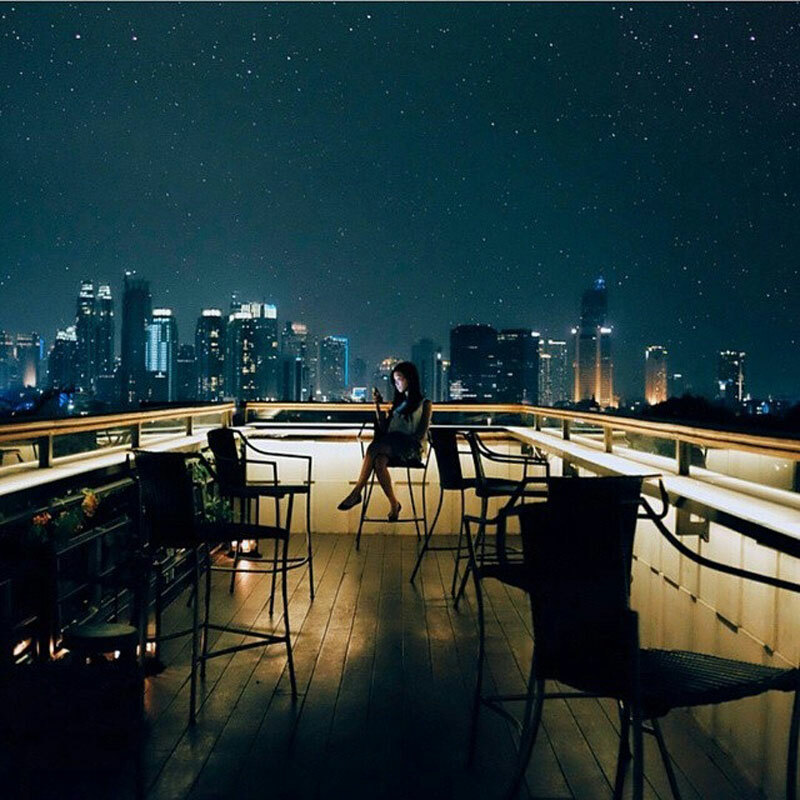 The iconic top view of Jakarta’s landscape, the scenic crimson blue canvas of cloud-speckled sky, the melodic pulses of metropolitan that are all familiar to Jakarta urbanites – these are just glimpses of the beauty that awaits at every rooftop bar here. 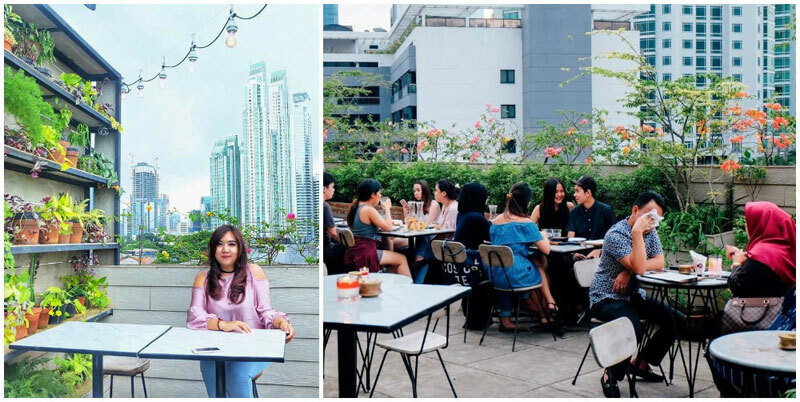 Before you start protesting that the bar scene is not for you, you may realise that there’s actually not much difference with hanging out at your regular cafe, just with a way better view. 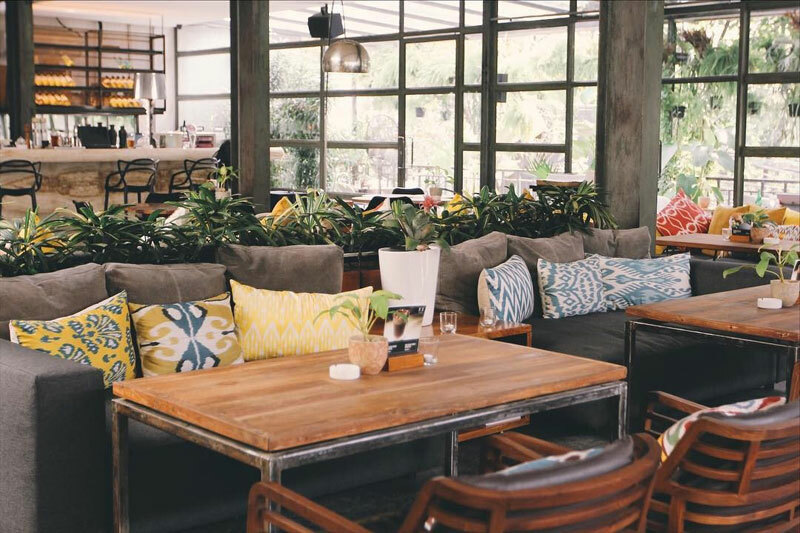 And what’s even better – these hippiest bars not only have awesome views and ambience, but also come with drinks you can get at less than Rp. 80,000 (USD $6)! 1. Ay caramba! 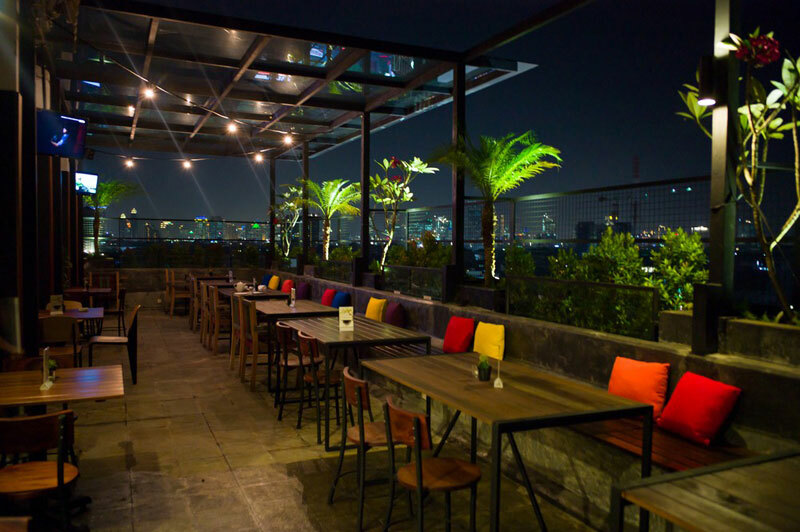 Party at Jakarta’s one-and-only rooftop rum bar: Karumba! 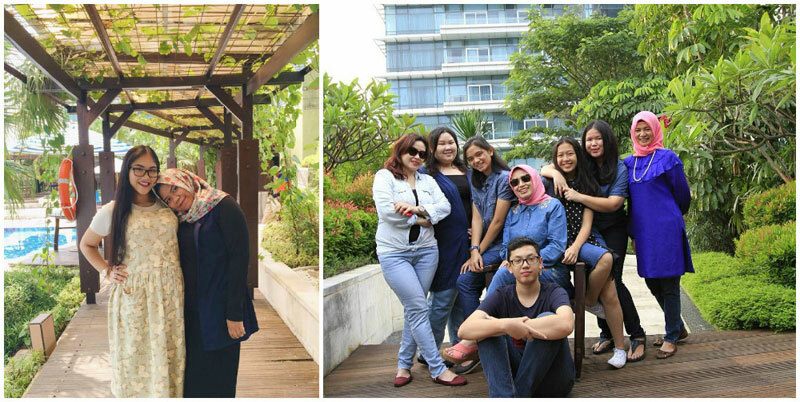 Located at Mercure Simatupang Hotel, Karumba! Is everyone’s favorite party spot on the 19th floor. Here, you must not miss their signature rum drinks. Karumba! was once called Slam and has undergone an architecture facelift that will put you into an instant celebratory mood as you enter. 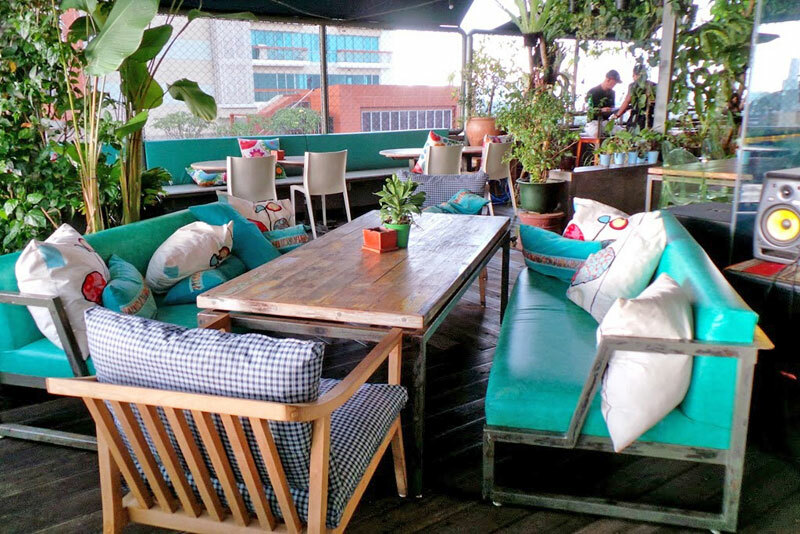 While it’s not exactly spacious, the only rooftop rum bar in Jakarta makes it up with a cleverly designed party space with Caribbean-style concept and a mix of West Indies decorations. 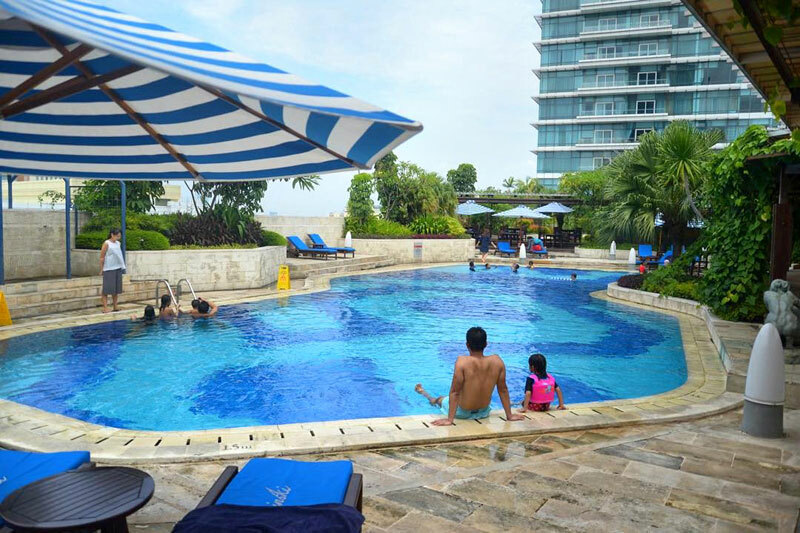 As you step out from the elevator to the hotel’s top floor, you’ll be greeted by a decent-sized swimming pool and comfy plush chairs that will encourage you to linger all night long. 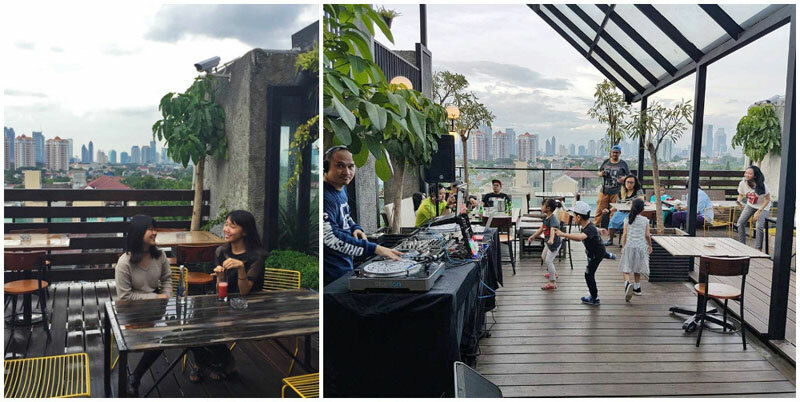 Overlooking the busy streets of South Jakarta, lively music is played all night long with wide selections of genre, from Latin Jazz or Funky Hump, to old school Indo jazz singers and everyone’s favorite top 40. 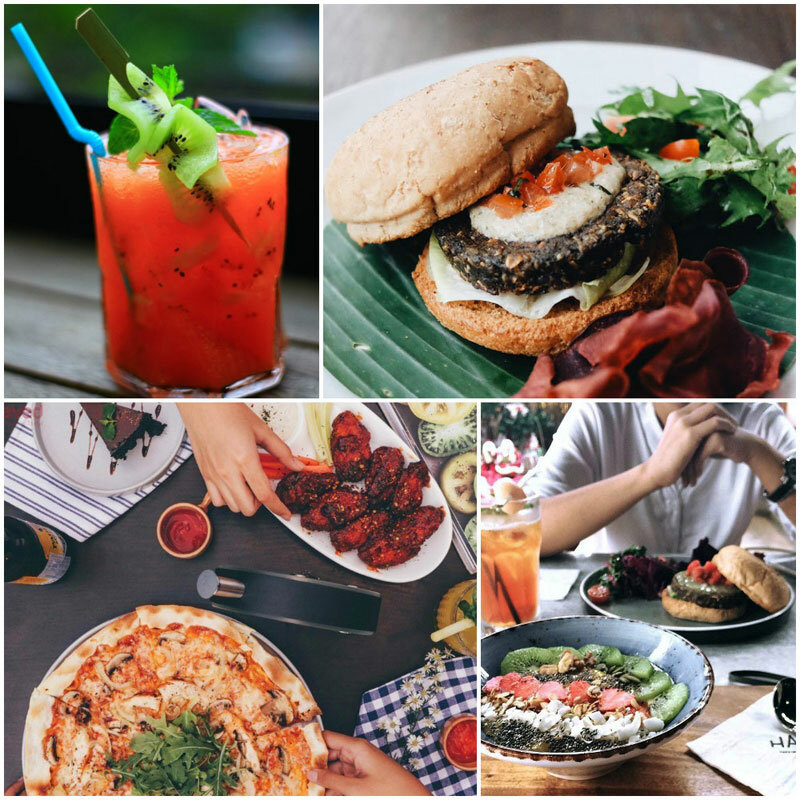 Besides rum, mixed berries ice tea, mojitos and choices of pizza, pasta and local food are up for order too! 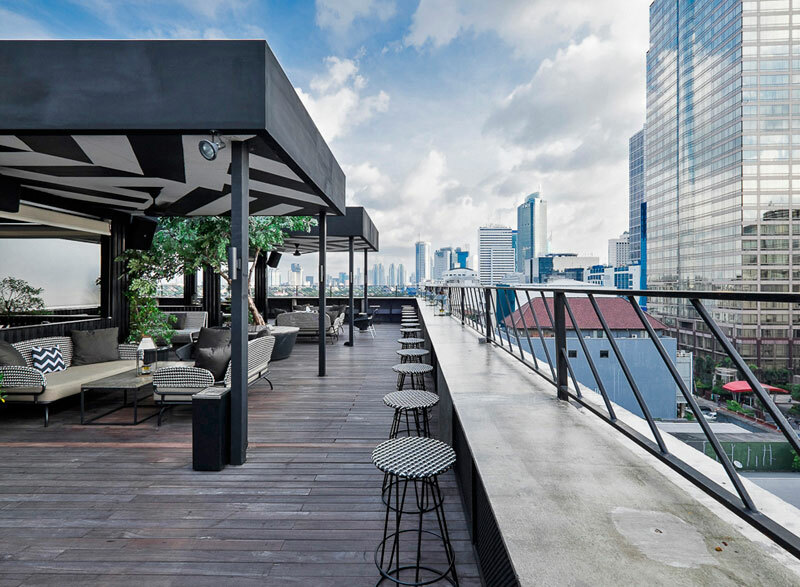 On the rooftop of Artotel Thamrin Jakarta lies a little paradise, decked out in a classic black-and-white theme, named BART (the acronym for Bar at The Rooftop). 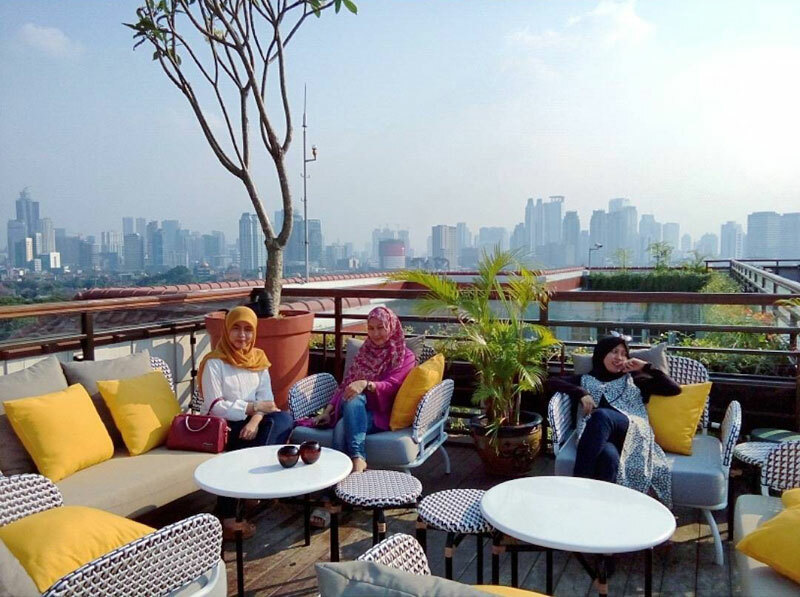 Contrary to its monochromic decor, you can expect a colourful day here on the 7th floor of this artistic hotel, as you’ll be treated to a luxurious view of the gorgeous blue sky, served with vibrant drinks and delightful food. The bartenders here concoct creative mocktails, cocktails and other fanciful alcoholic drinks such as the Bye Gone or Jumping Monkey. Don’t let the cute names fool you though – they actually contain generous splashes of vodka, gin and tequila! 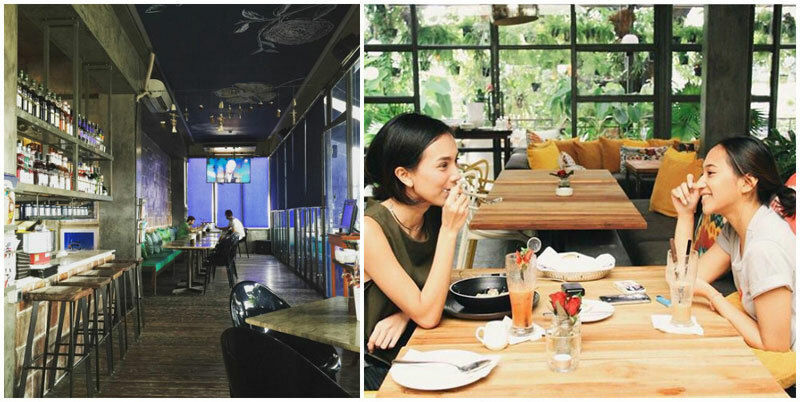 They serve a hearty breakfast menu and other main courses that will fill you up nicely. 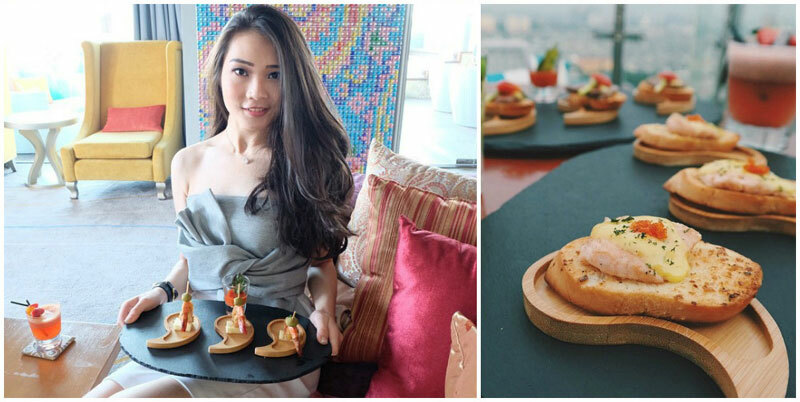 For light bites, there is the “ To Share” menu where you can get nachos, tapas, fries and other snacks at great prices. 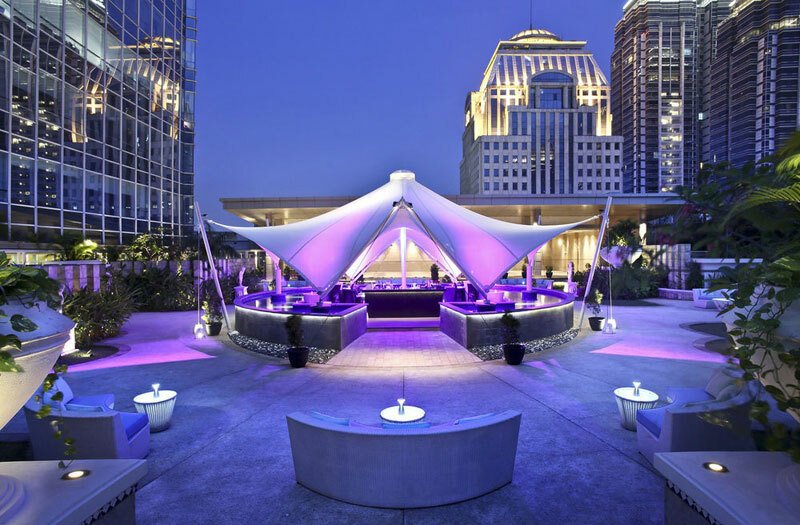 Most sought after for its botanical garden and a swimming pool with inviting lazy plush seats, Sky Pool Bar Cafe also boasts a variety of local specialties and drinks. 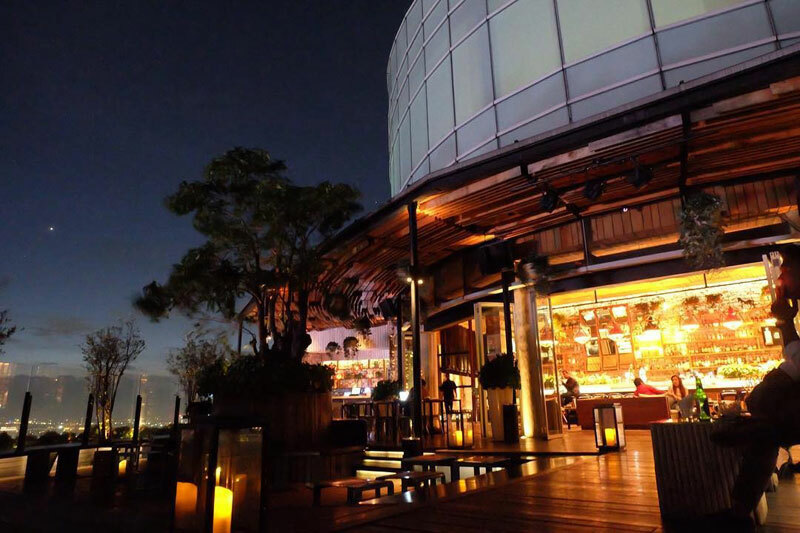 Located on the 5th floor of Hotel Indonesia Kempinski Jakarta, this rooftop bar and cafe welcomes couples looking for a romantic night out to large groups of friends searching for the ideal poolside BBQ setting. 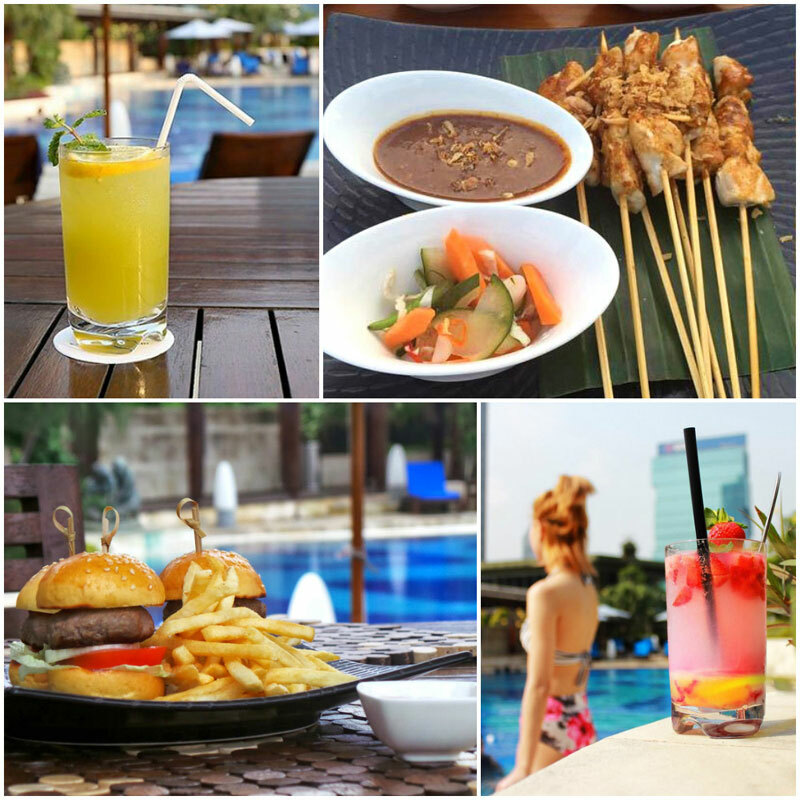 Whether it’s light bites or heavy meals you’re after, you can get all you need here, together with a cool drink in hand for the perfect poolside relaxation. 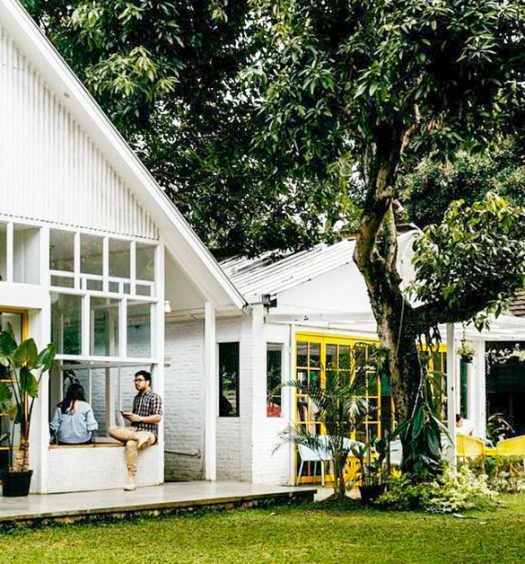 Head on to The Colony Building of Kemang in South Jakarta, where you’ll find yourself a little oasis with the perfect mix of ambience that’s far from your typical rooftop bar scene. 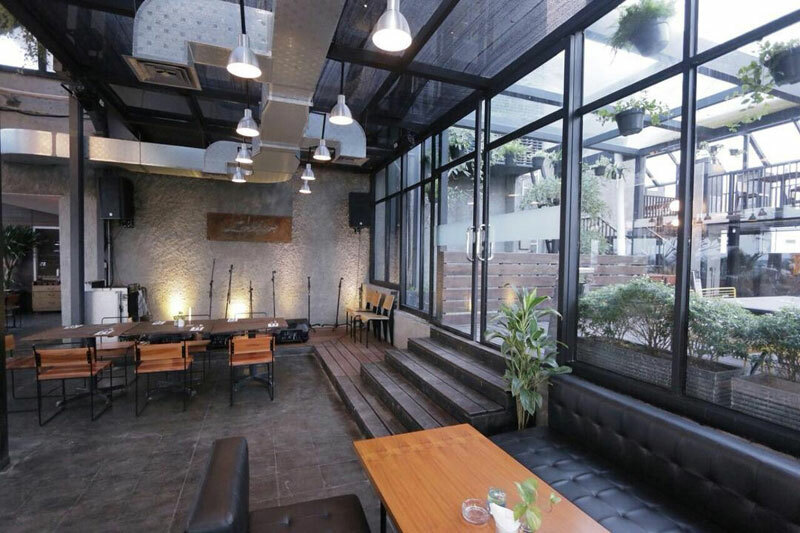 FJ on 7 is a cozy rooftop bistro restaurant and bar that offers a warm setting of dimly lit cafe lighting with authentic bricks and wood elements, with a touch of minimalism. 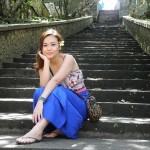 Vintage romance is in the air, with a heavy blend of eclectic and youthful vibe. 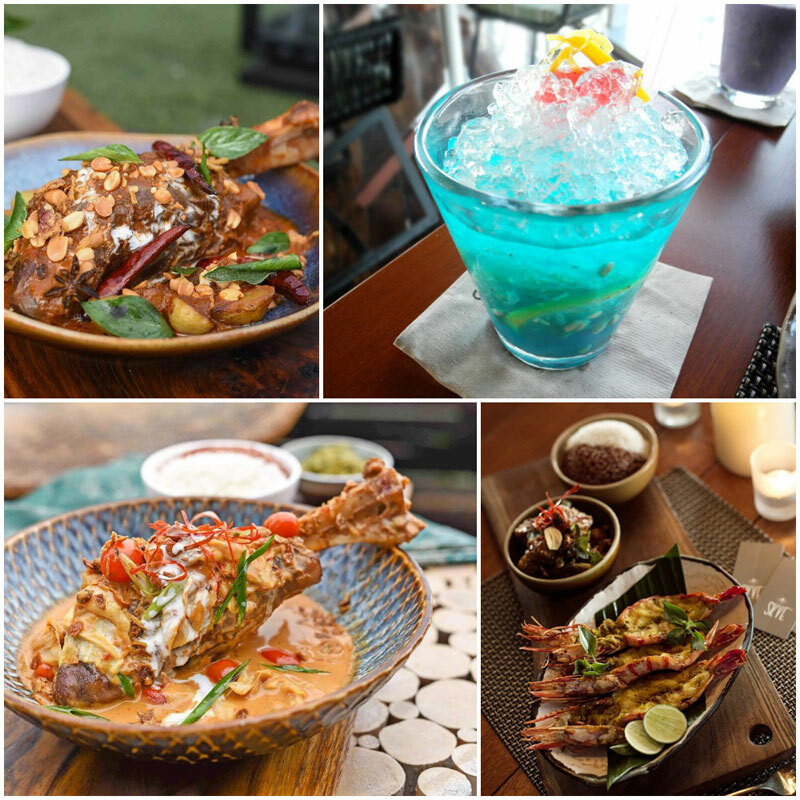 Once you’ve settled into this lovely place, you’ll soon be taken on another amazing culinary adventure of Italian, Thai, Korean and Indonesian signature dishes. 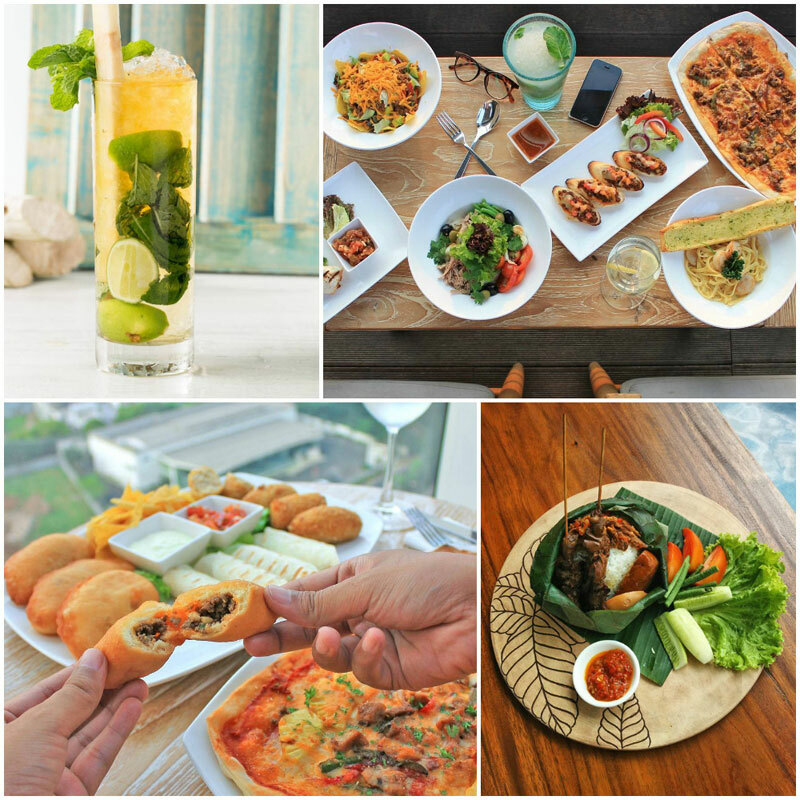 Some favourites are the sticky rice (Lontong Cap Go Meh), Nasi Goreng Kampung and pizza. 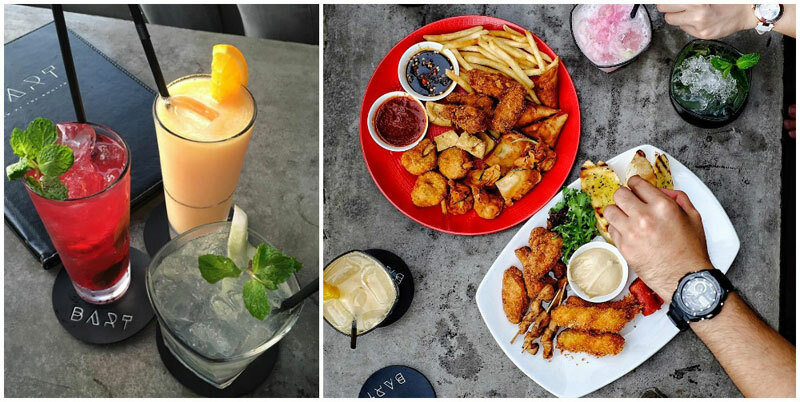 Order up some fresh mocktails to wash down all the yummilicious food! The portions are also more than generous, so you know you’ll get great value for money! 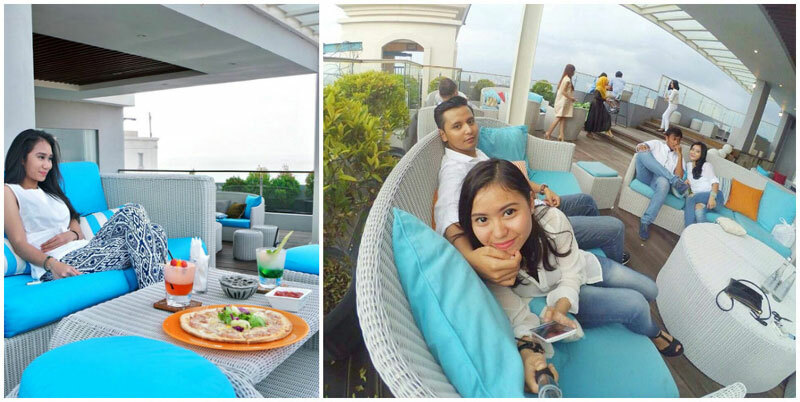 Lobbyn Sky Terrace is perched on top of Fave Hotel Kemang, a popular budget hotel by Aston. 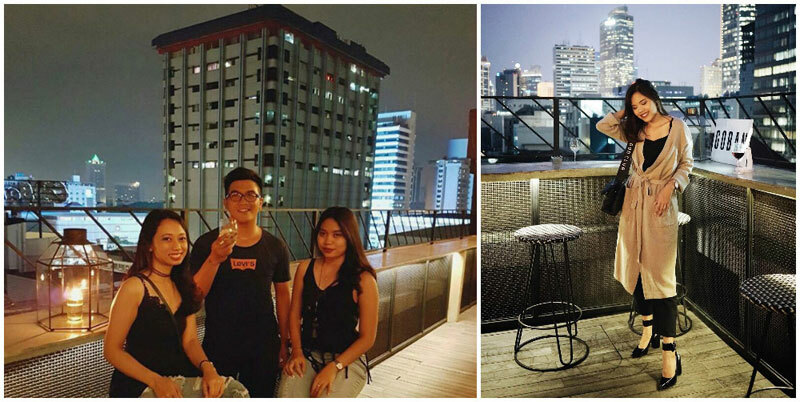 But don’t let the word “budget” fool you, as Lobbyn Sky Terrace boasts of a cafe-style wooden architecture with a thematic outdoor bar that may even match up to some five-star hotels in the city. 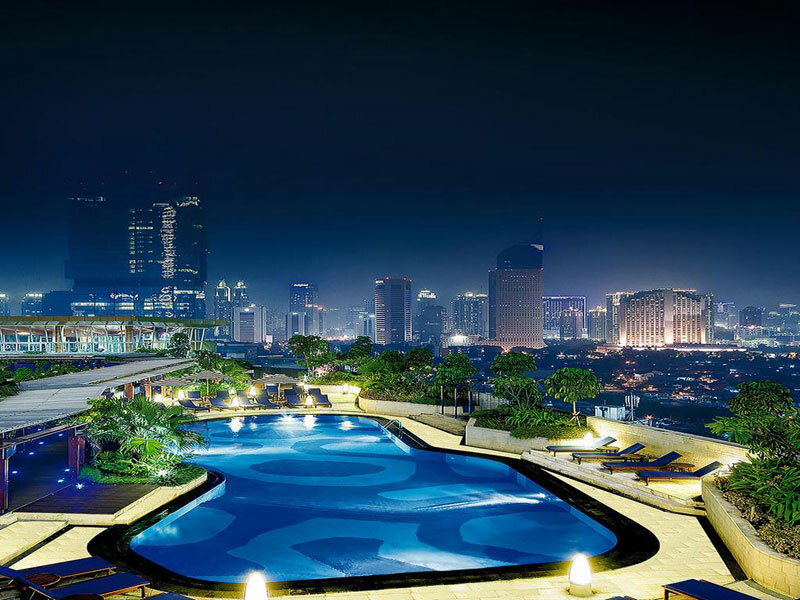 The laidback atmosphere, unpretentious setting and relaxing swimming pool will put you in a good mood to enjoy Jakarta’s skyline with pleasant music in the background. If you’re up for something fun, you can order the set of 6 mini cocktail shots named Avengers Shooter, a fun and unique cocktail platter inspired by the Avenger superheroes (i.e. Captain America, Iron Man, Hulk, Black Widow, Hawkeye and Thor)! 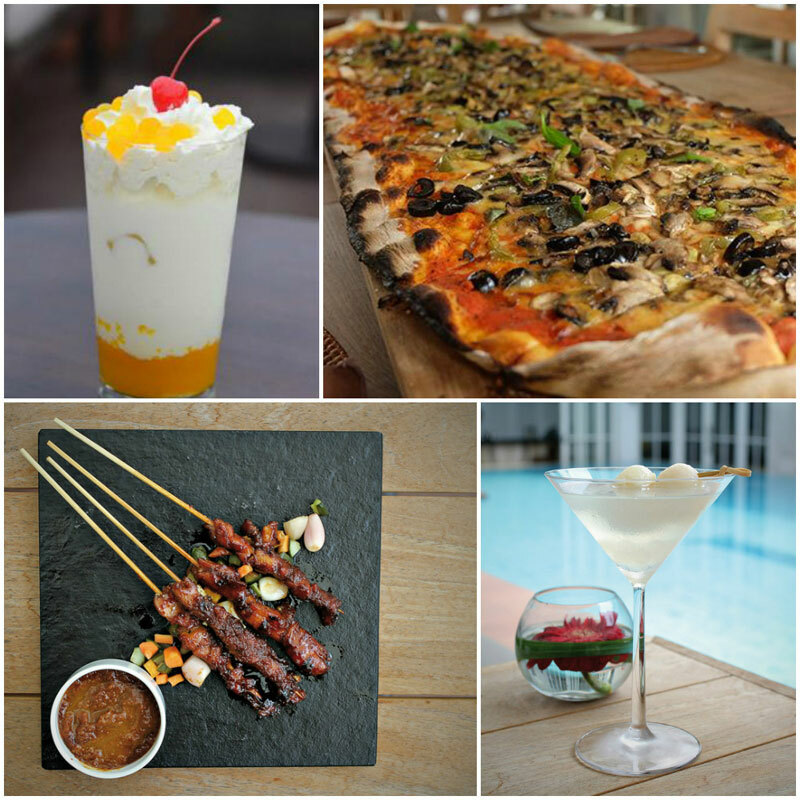 Happy Hour promotion every Monday to friday from 5pm-8pm. “Buy 1 get 1 free” for all beer and “buy single get double” for all spirits. 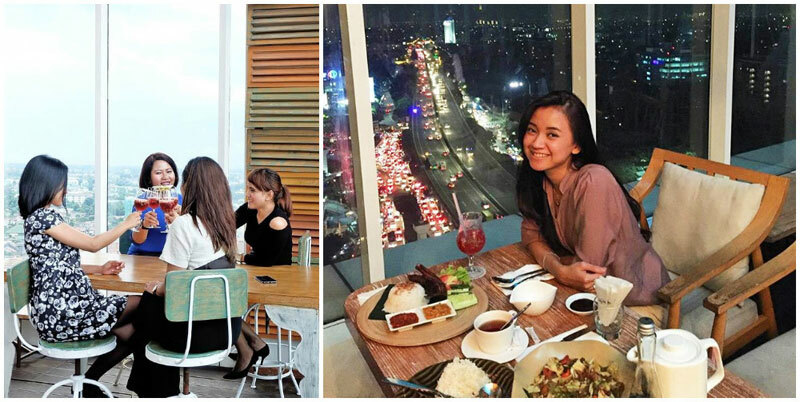 Nestled on the 46th & 49th floor of Altitude The Plaza Office Tower, Cloud Lounge & Dining reveals a magnificent 360-degree view of the city’s skyline and front row seats to a spectacular sunset. 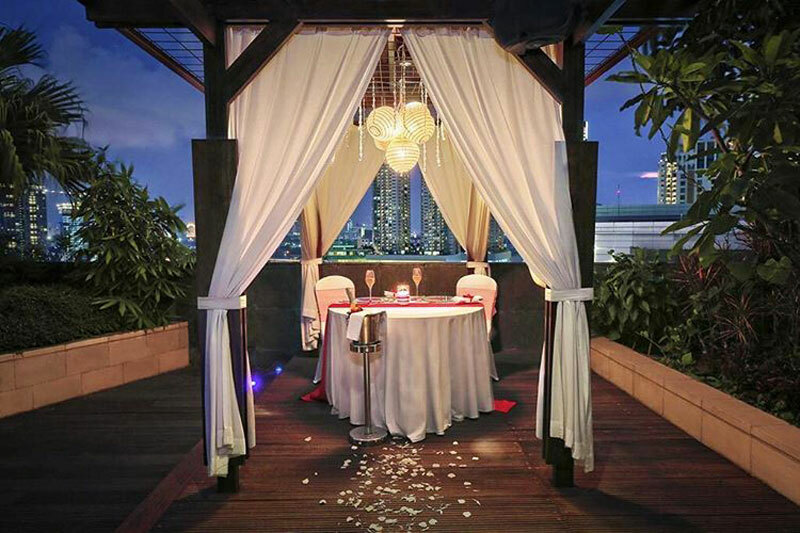 Not only does it provide dizzy views of the city, but it features fantastic exclusive drinks – such as a selection of Haagen Dazs ice cream cocktails and a large variety of spirits and wine. If you’d like to have some bites, their special signatures are fried pork, grilled lamb chop, and salmon with spinach. 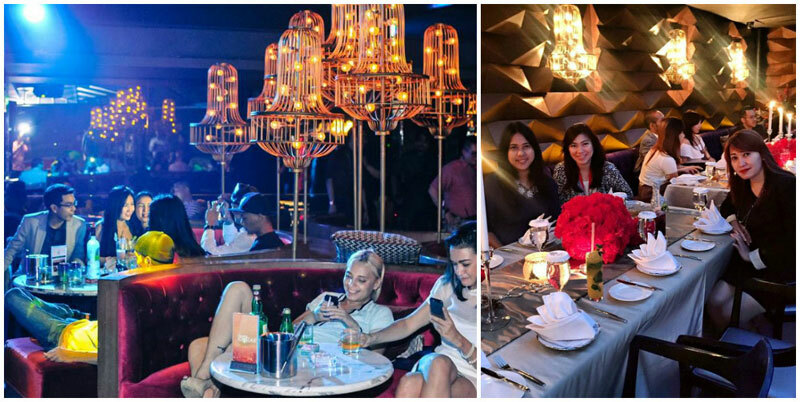 The bi-level ultra lounge is split into two floors, with the 46th floor lounge offering private event rooms for business meetings, functions, and other intimate celebrations. 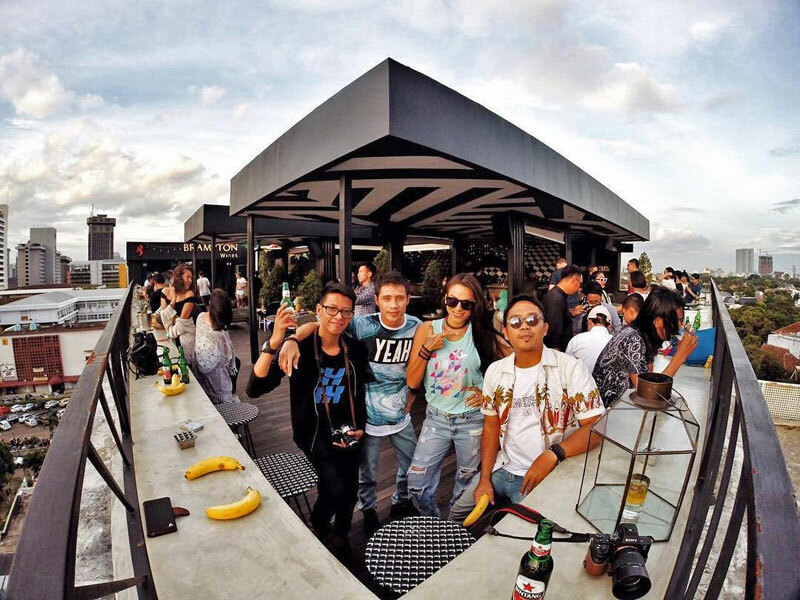 Above, the 49th floor transports guests to a high-energy oasis on the rooftop, taking Jakarta’s nightlife to a new level. 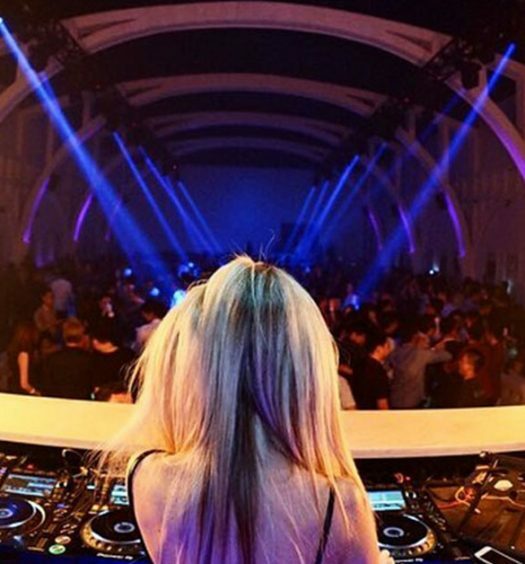 There’s international party events every week! 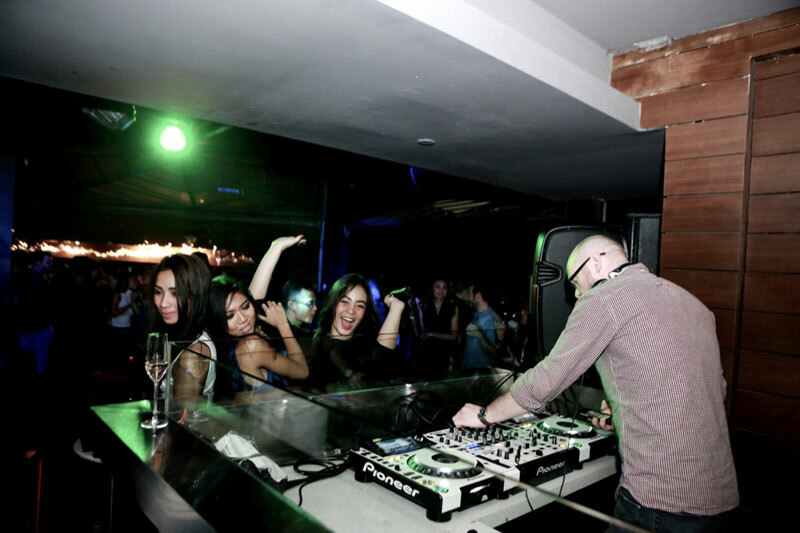 This is definitely known as one of the hottest venues in the city, and is certainly a place to be and be seen. 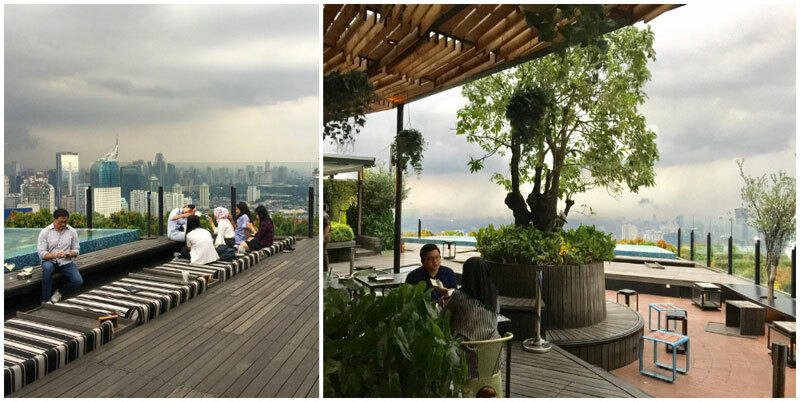 Want to enjoy excellent views from the top of Jakarta? 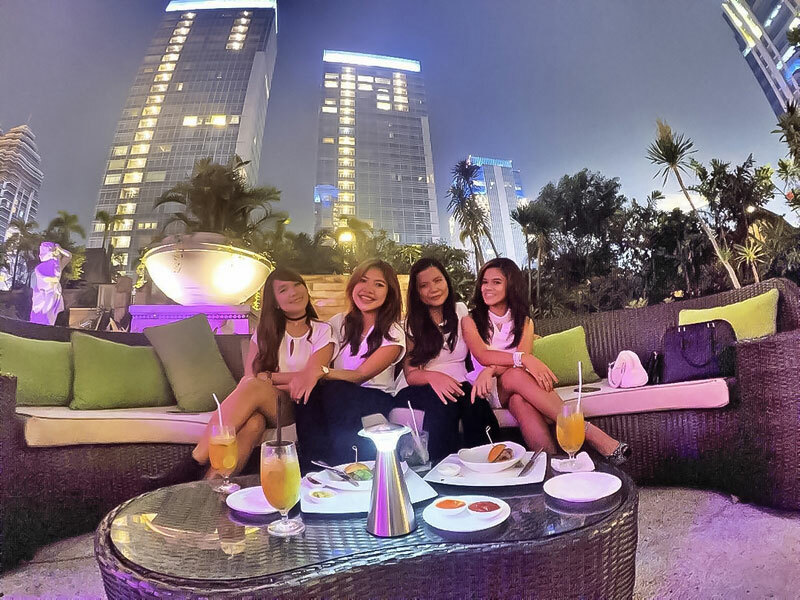 Conveniently located in the heart of the city, on the 56th floor rooftop of the tallest building in Jakarta (BCA Tower-Grand Indonesia, Thamrin), SKYE is an iconic landmark of the city. 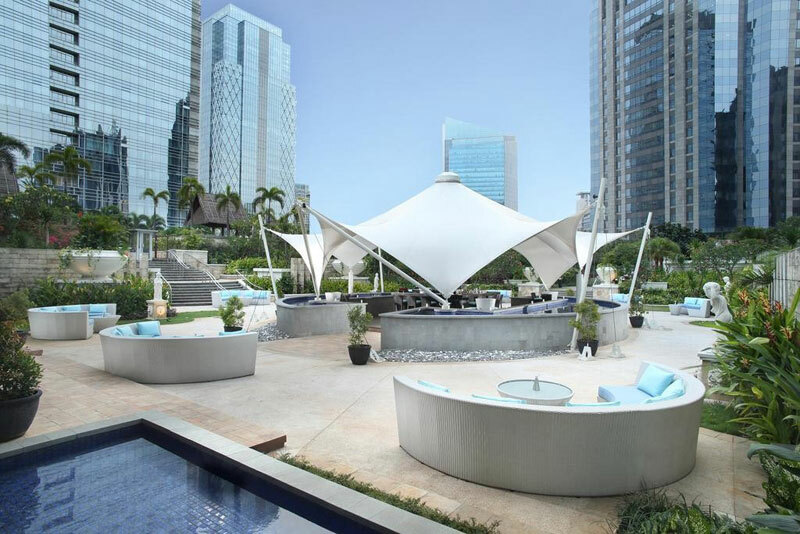 With unique South American influences on its architecture and interior design, SKYE comprises of spacious indoor and outdoor areas, where you can get a one-of-a-kind panoramic view of the city’s horizons. 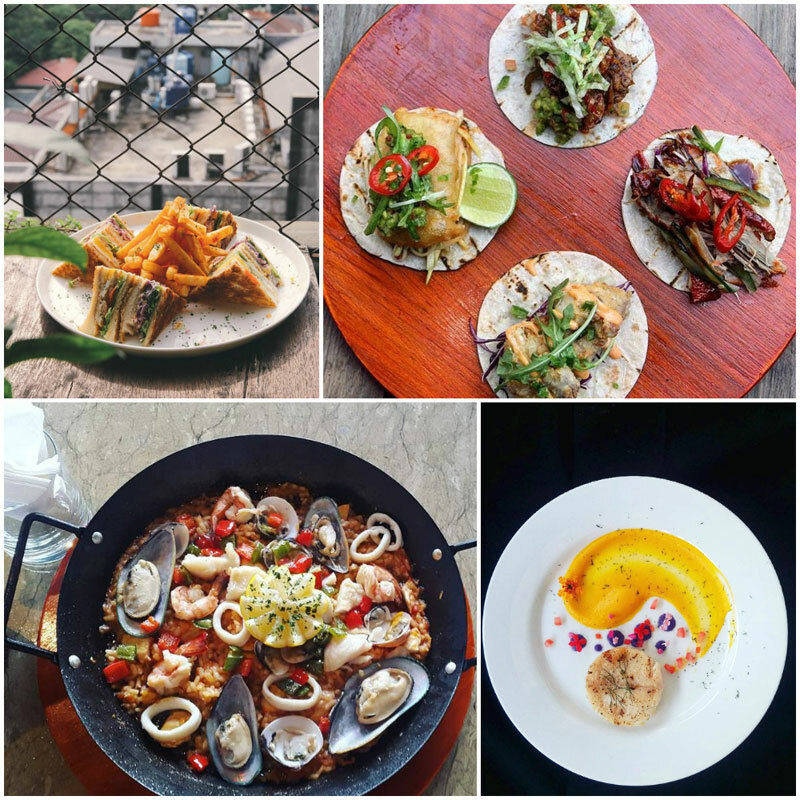 You can enjoy international ethnic cuisine, focusing on Hispanic food, with a strong integration of Middle-Eastern and Asian delicacies. 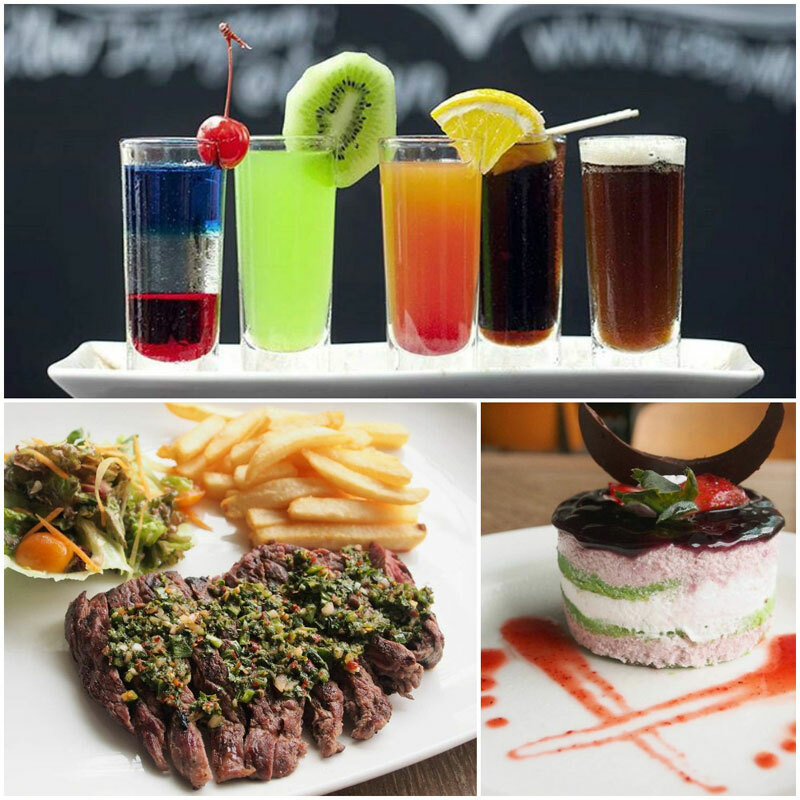 While you’re here, you should try the Black Angus Beef Tenderloin and Wok Fried Flat Noodles. As for drinks, you can taste the Forget Me Not (blend of lime, apple and raspberry) – one of their best-selling beverages. 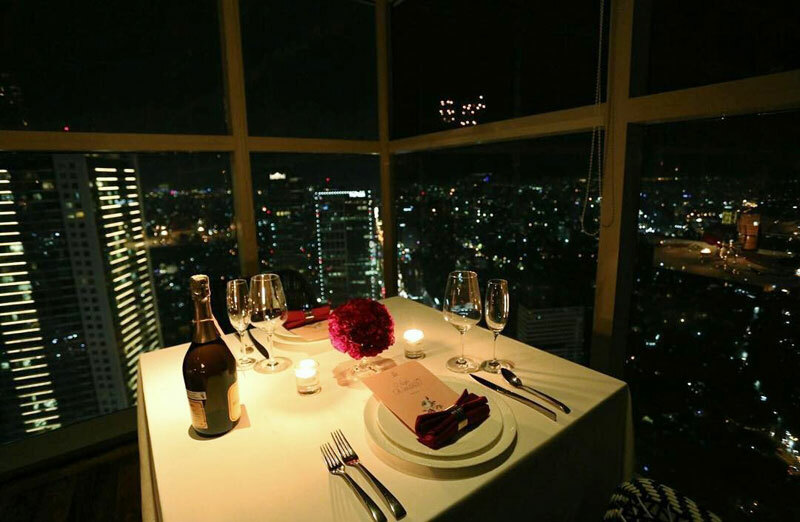 With perfect views of Downtown and beyond, this is definitely where you can bring your significant other for a romantic date, to celebrate that special occasion! 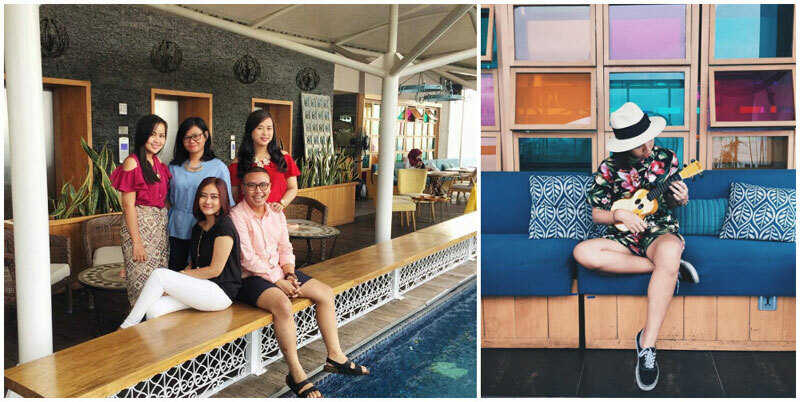 Located at Ancol, near the coastline, 33 Degree offers you with not only the view of Jakarta’s landscape but of the sandy beach as well. 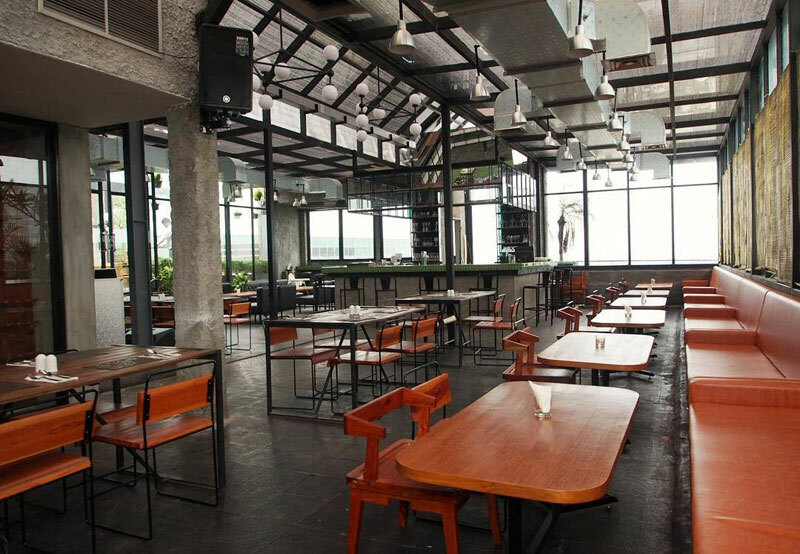 The restaurant is divided into two zones – the bar and the dining area, which are connected by a bridge. 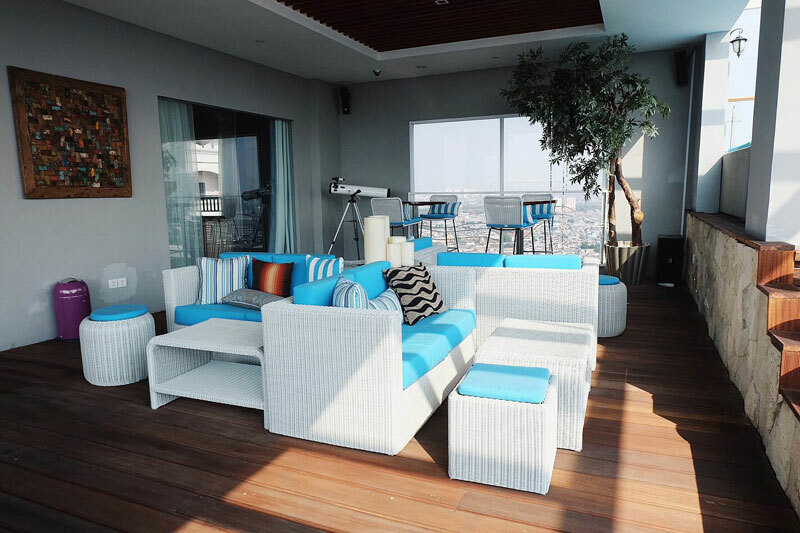 The blue-white interior creates a bright and refreshing ambience ideal for chilling and hanging out with friends. 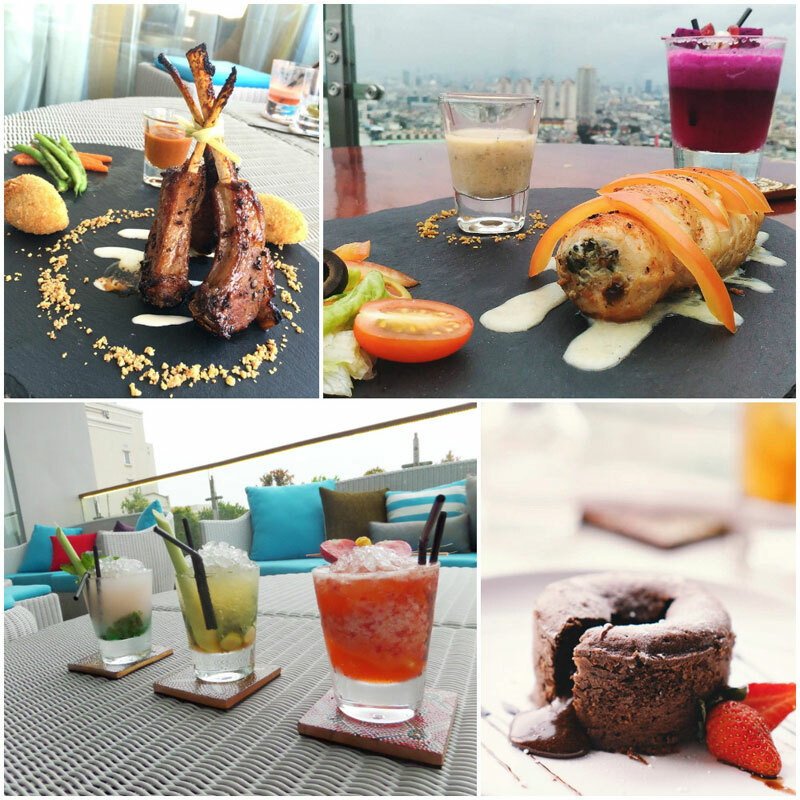 Besides the awesome view, food is actually very decent too. 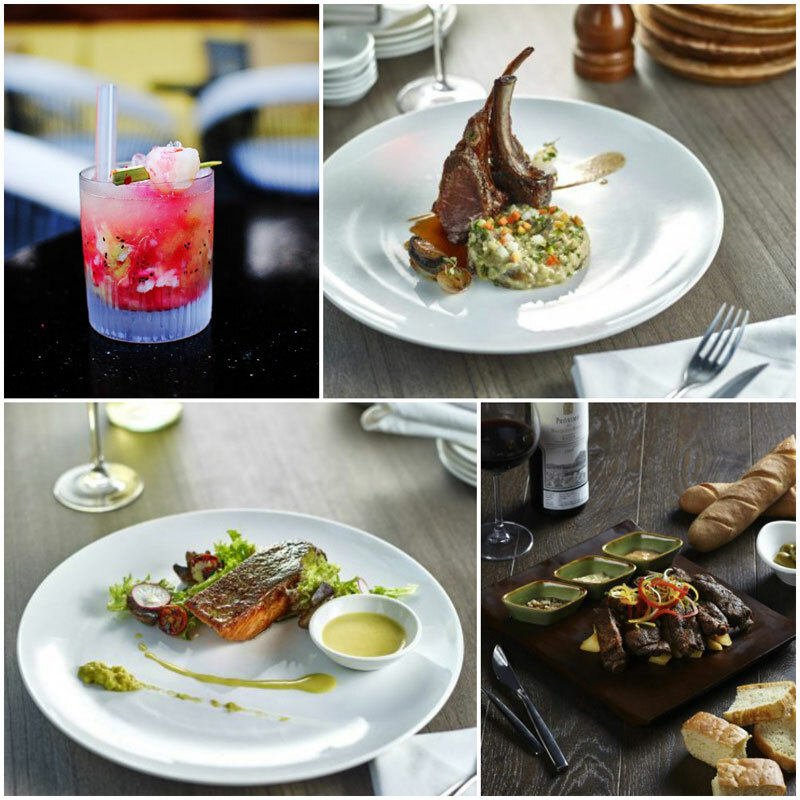 33 Degree is popular for their tapas (small Spanish savory dishes), so don’t forget to order it together with your drinks! 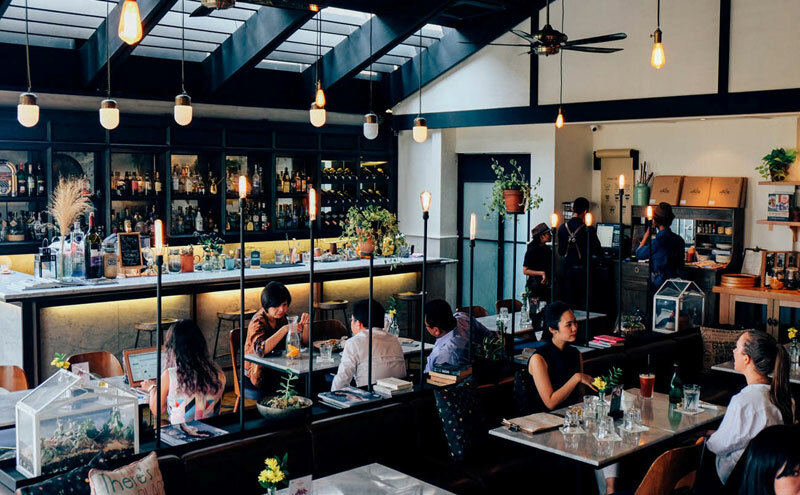 Some guests even claim they have the best tapas in Jakarta. When it’s time for dessert, we recommend the chocolate lava, a must-try for chocolate fans – soft, chewy, topped with sweet frosting and drizzled with chocolate sauce – the perfect end to your meal! 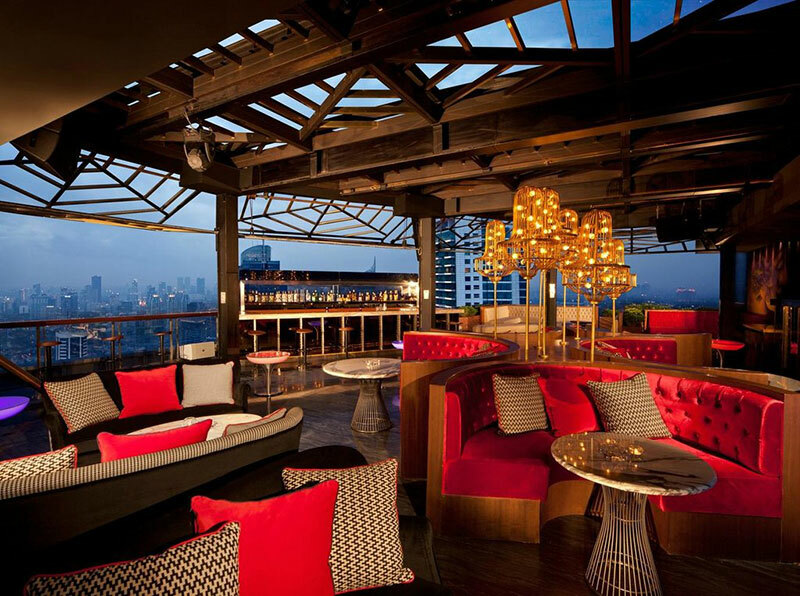 If you’re looking for a cosy bar to chill at with your friends, La Vue at The Hermitage would be an excellent choice. 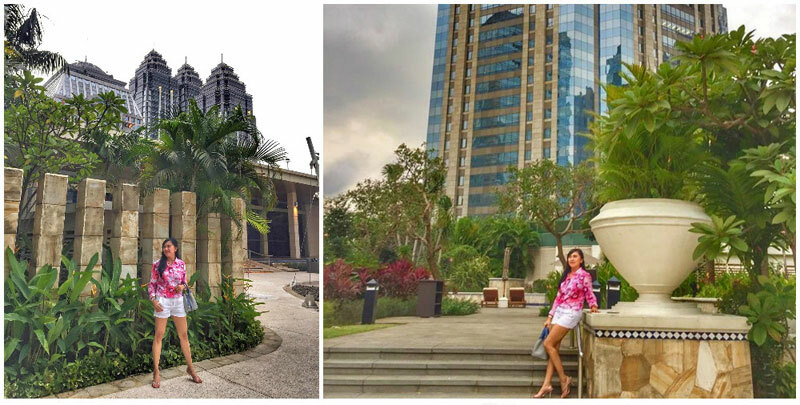 La Vue is perched on the 9th floor and overlooks the charming Menteng area, a prestigious address that blends old facades of Batavia and the fine residences of today. 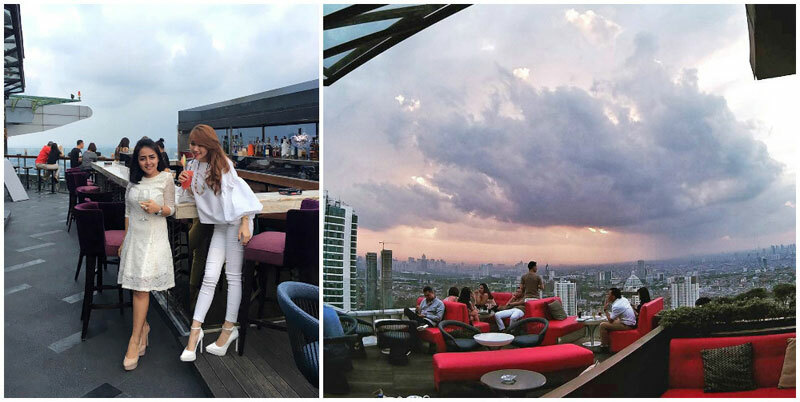 This light and airy rooftop bar with a magical 360-degree horizon view across Jakarta offers you a cozy and relaxed atmosphere – just perfect for lingering with some cocktails. 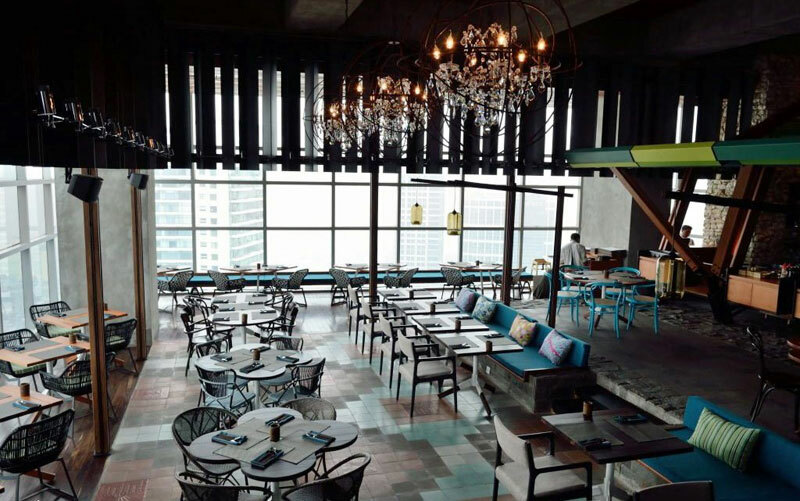 Offering casual bites and mouth-watering main courses, La Vue takes pride in its Tartufo Pizza and the classic Sate Ayam. 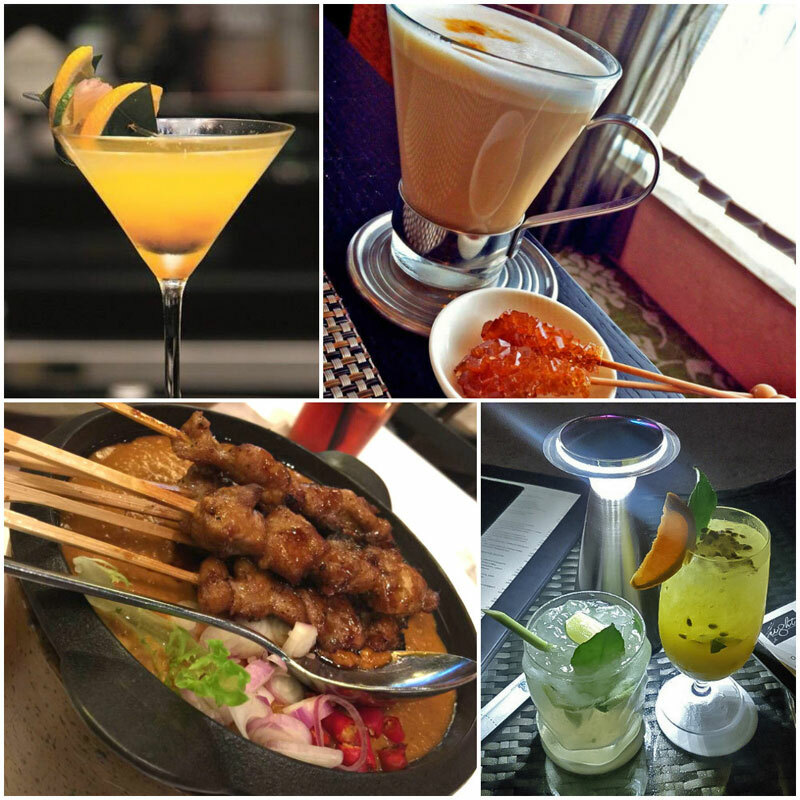 As for beverages, try the Mango Coco and Lychee Martini! 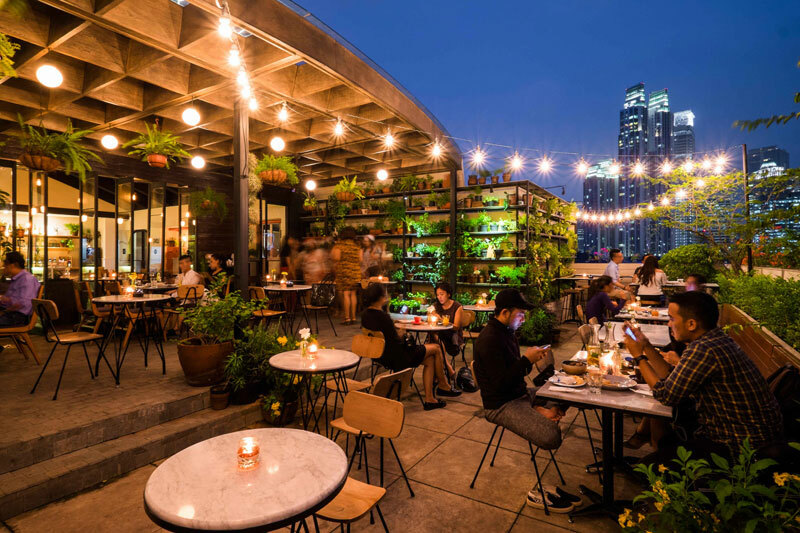 Nestled atop (on the 6th floor) the second tower in the MD Place compound, Hause Rooftop is a secret hideaway oasis in the middle of the bustling city. 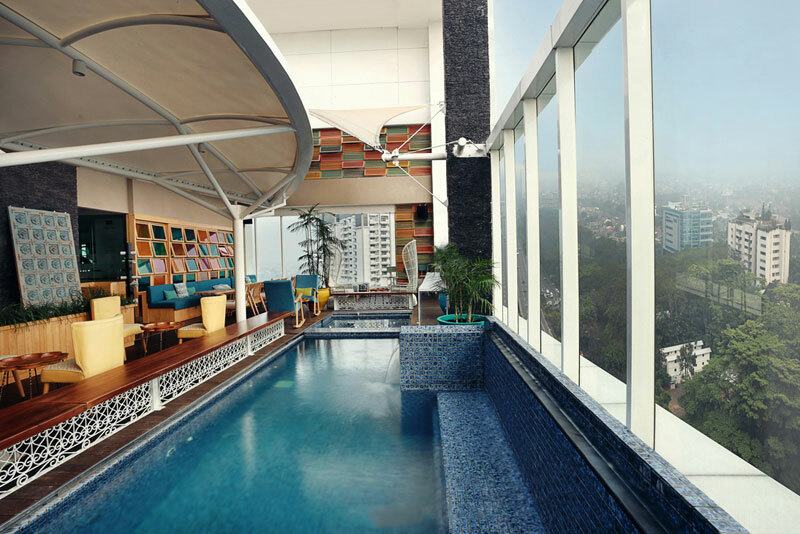 This is where you can enjoy the seclusion as you hang out at the breezy outdoor backyard with a majestic view of the sky. 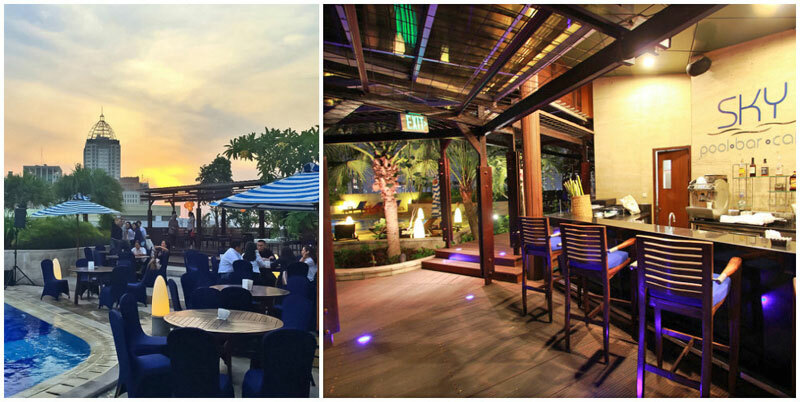 The lush green backyard and friendly service staff will make you feel right at home. The owner even has a personal collection of growing herbs and flowers that she nurtured with her own hands and placed in the backyard! The eclectic interior is modern, but artistically filled with the owners’ antique and quirky paraphernalia that they collected over the years from their travels. Time to Instagram! 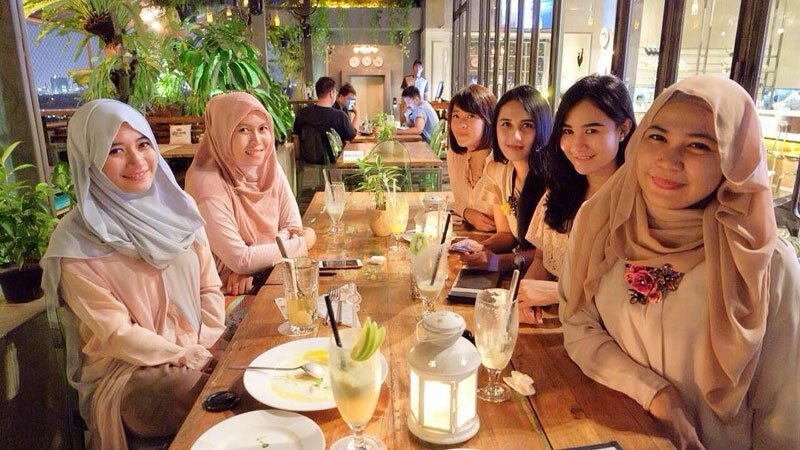 The best thing is, they also serve relatively healthy food on the menu, such as Mushroom burger and Barbecue chicken pizza. Update: 8 Lounge is now permanently closed. 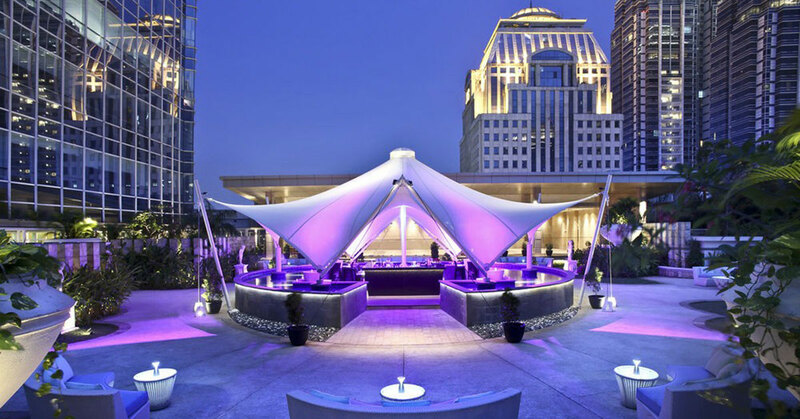 Ritz Carlton’s own rooftop bar, 8 Lounge, is located on the 8th floor overlooking the iconic Pacific Place landscape and other skyscraper giants. Open only from midweek to weekend, this place gets its fair share of fans who can’t get enough of its open-air setting with cozy white plush seats. 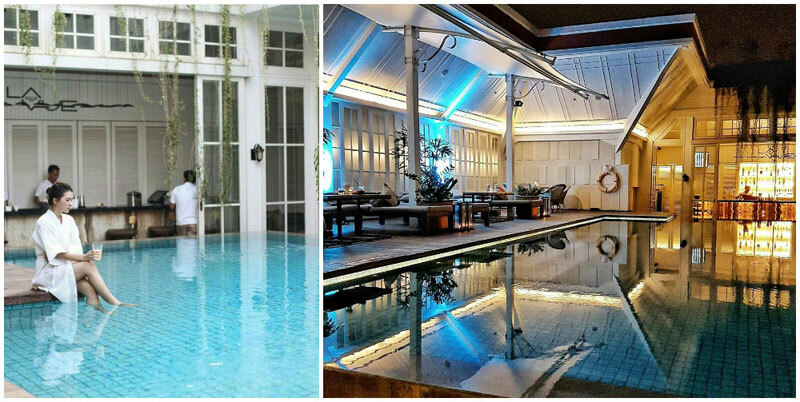 Surrounded by lush greenery, the ambience is enveloped in an air of tranquility, with soft music and dim glistening lights. 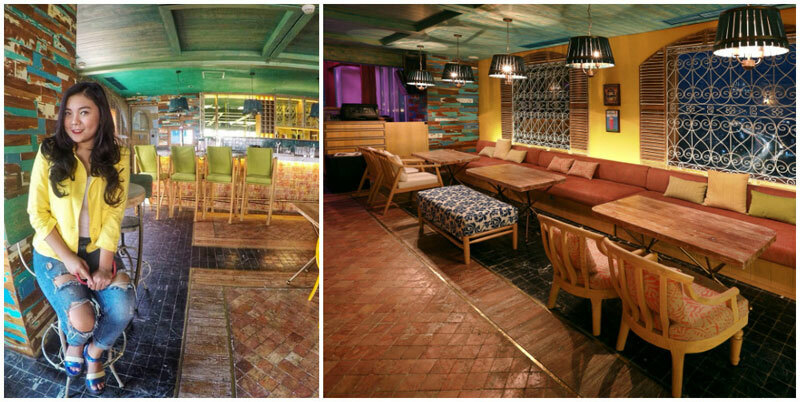 Suffice to say, 8 Lounge is quickly becoming every couple’s favourite hideout. What’s even more interesting is that this place also serves shisha, on top of great night bites, main courses, and beverages. 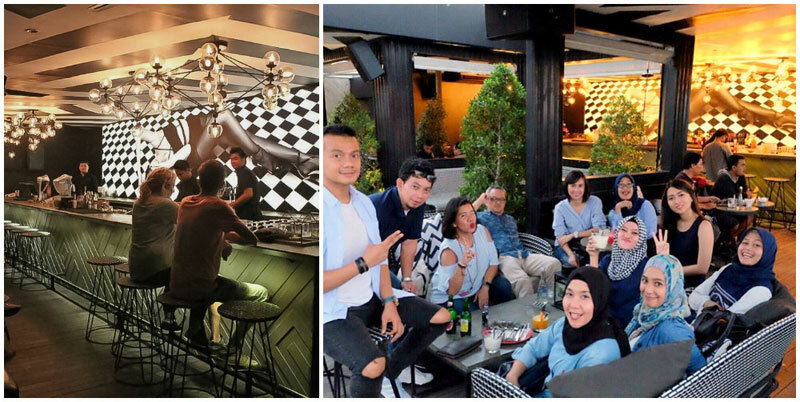 Having been praised as one of the best hookah places in Jakarta, this bar is crowded most of the time, so make a reservation to secure yourself a sweet spot on top! 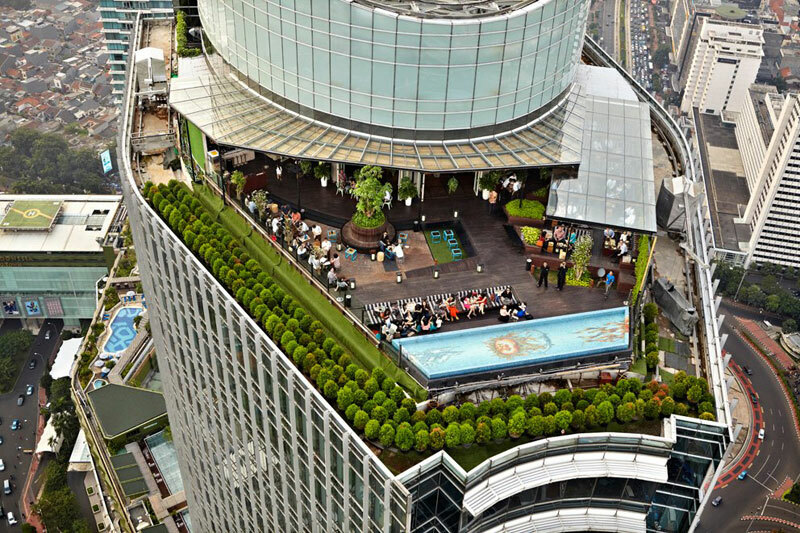 These 11 rooftop bars have certainly successfully redefined the concept of rooftop dining. 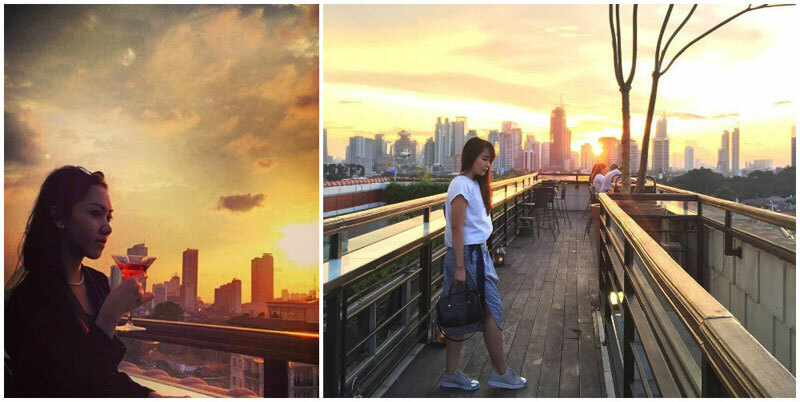 Do you have other suggestions of great and affordable rooftop bars in Jakarta? Do share with us!